There are thousands of books about anger. Even from a Biblical counseling perspective there are many; in fact Ed Welch’s colleague David Powlison just recently wrote a phenomenal one, Good & Angry. So, if it seems unnecessary and excessive for another CCEF author to publish another book on anger, you’d probably be right. 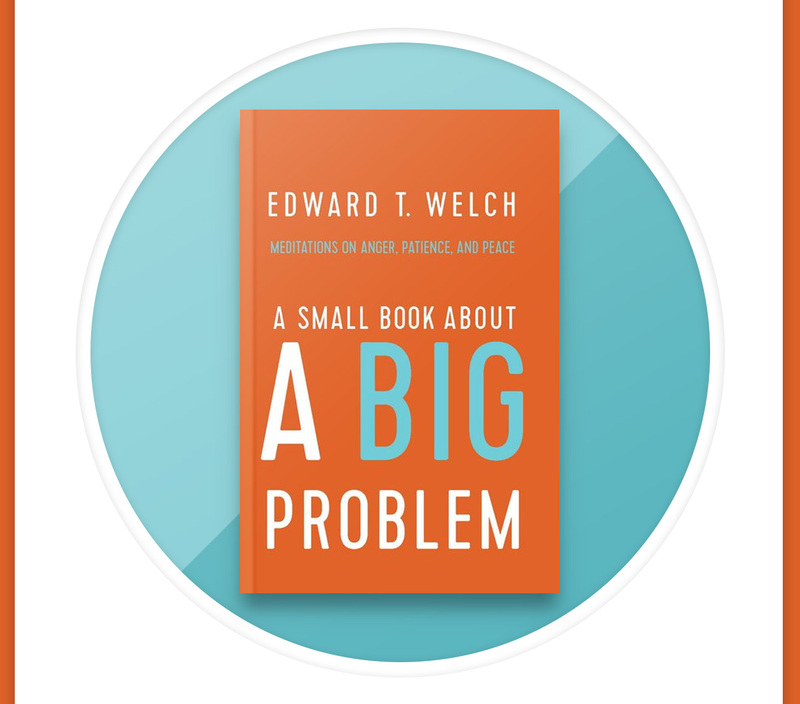 Yet, Welch offers a different tool for those wanting help overcoming their anger. While other books on anger give readers loads of information, A Small Book About A Big Problem spends its time giving readers more time to reflect than content to digest. This book supplements larger works on anger by inviting the reader to do daily self-reflection. The intent is to reflect more on ourselves in comparison to the truths of God’s Word, and His words on anger in particular. While the book is not a detailed as other works on anger, its fifty days do cover a lot of ground. The key to its usefulness, however, is its invitation to personal reflection. Each chapter probes a significant element of anger. So, Welch asks us to consider carefully a definition of anger, and the various manifestations of anger. He points to Jesus’ comparison of anger with murder, identifying and lumping us all into that most terrible of categories: murderers. He challenges readers to hear wisdom, to note their own foolishness. He connects our anger at others (and situations) with anger towards God, something most have never considered or would outright deny. He invites us to embrace humility, to ask for forgiveness, to accept grace, and to embrace mistreatment as a “gift.” The book of course only scratches the surface on many of these issues, but it gives us much to chew on none the less. The meditation format gives bite size, but meaty, thoughts with the intent that a short read will engage us personally with reflection. He asks good questions throughout, inviting us to answer, to evaluate, to compare ourselves and our Lord. The more readers do this the more they will reap dividends from this book. Anger is a common and yet a serious problem for all of us. “To be human is to get angry,” Welch says (1). Our propensity towards sinful anger, and our ability to justify it requires that we really reflect on and engage our own hearts. Welch’s book is perfect for those tasks. Combined with more detailed works on anger, this devotional will provide readers the perfect opportunity to reflect more intently and apply more deeply the truths of God’s Word against anger. I highly recommend A Small Book About A Big Problem as an incredibly useful counseling tool.